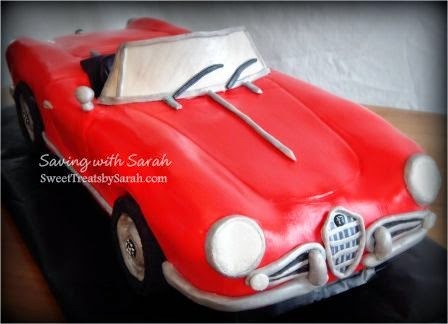 Ah, my very first car cake. 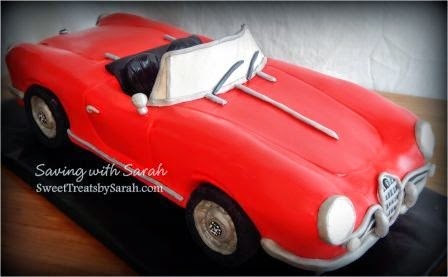 More specifically, an Alfa Romeo Giulietta Spider cake. I watched a lot of videos before starting this one. 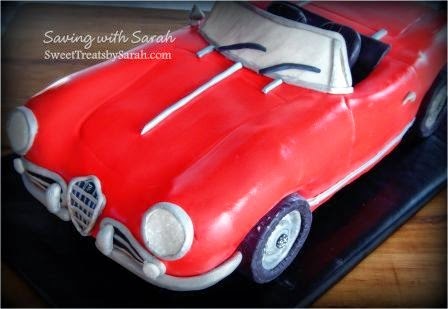 This video by learncakes gives a nice overview of the general process I used to build the car cake. I googled the blueprint and printed it to the desired size, carved, frosted and covered in fondant. 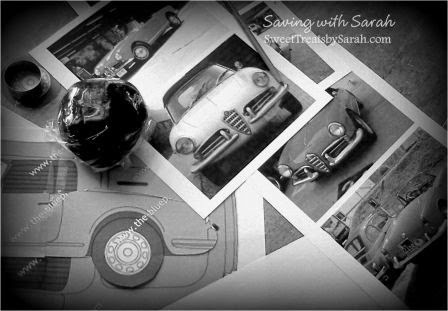 I printed oodles of images from every angle, which came in super handy when getting into the little details. This was also my first time working with Modeling Chocolate. There are things I love about it and a few things not so much. 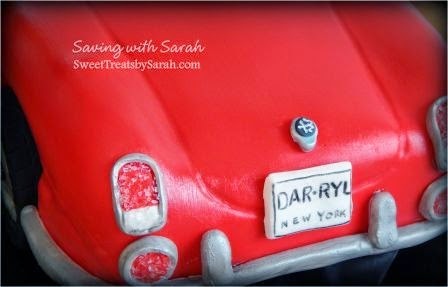 I used the Modeling Chocolate tutorial from McGreevy Cakes. If you haven't checked out her page - you MUST. She is A-MA-ZING! Seriously. Amazing. 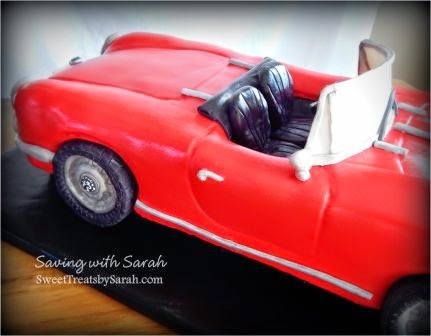 I made the tires and seats out of modelling chocolate. 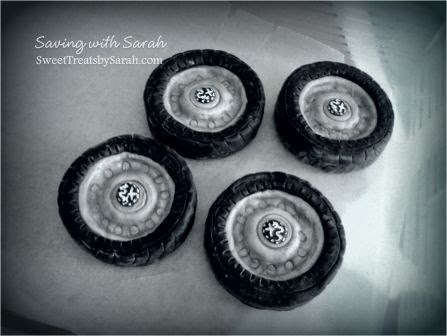 It was very easy to mold into the desired shapes and seams are easily smoothed. However, it is tricky to color and very difficult to paint. Overall, I like it (for certain applications of course). Can't wait to try it the next time I have to model a little face. Oh, I almost forgot - it tastes yummy too! Hope you all like it! Vroom, vroom.